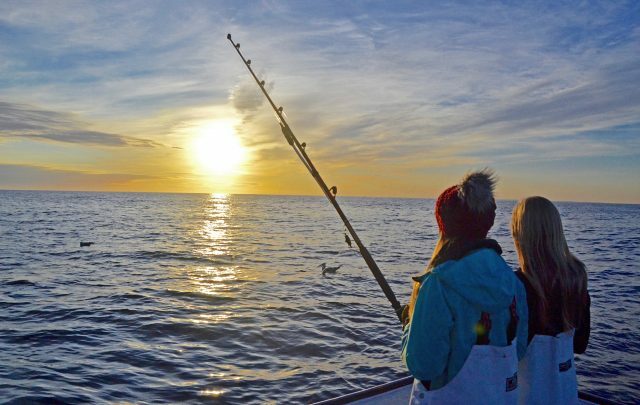 Almost all anglers are introduced to fishing by a family member or close friend. Nothing could be truer than our next pair of Fishing Chicks, Claire and Emily Sears. 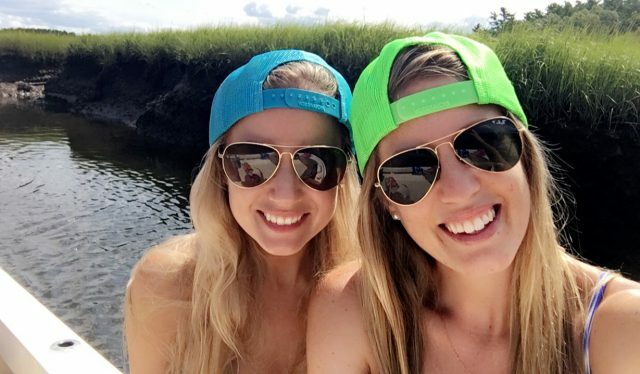 Sister-in-laws who are married to avid fishermen, Bryan and Taylor Sears. We got the opportunity to ask them both about their family fishing tradition. 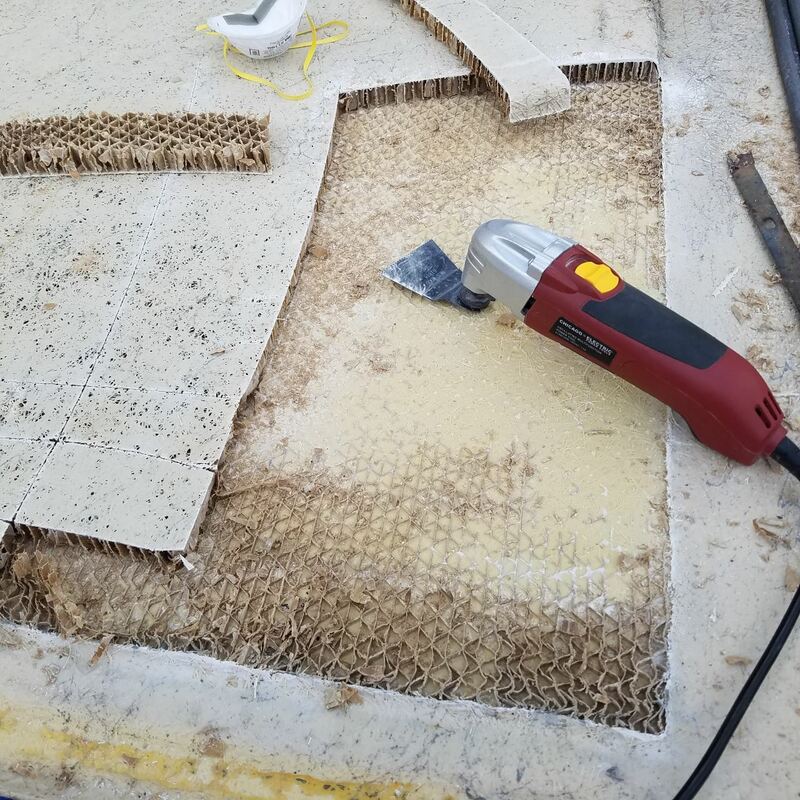 Emily:I live in Pembroke, Massachusetts – a small town that is only a quick 25-minute drive from where we keep our boats in Scituate, Massachusetts. 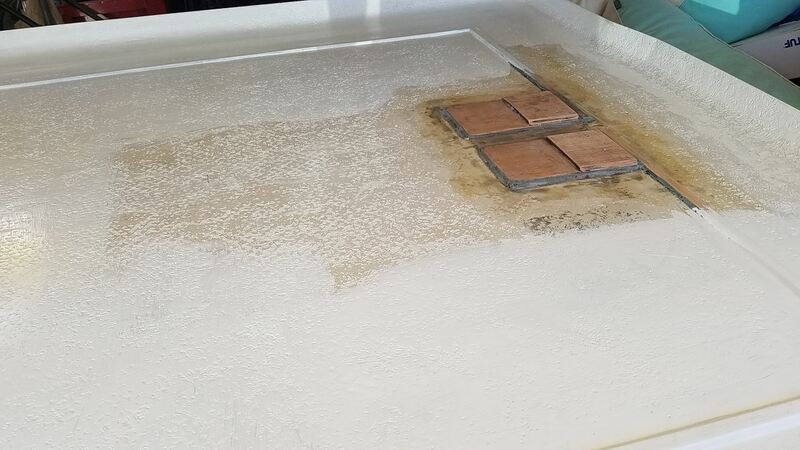 Claire:I live in Hingham, Massachusetts – which is about halfway between Boston and Cape Cod – with my husband, Bryan, and our chocolate lab, Riley. I am a South Shore transplant, as I grew up in Connecticut, but moved to Boston for work and have grown to love this area. BD:What do you do for work? 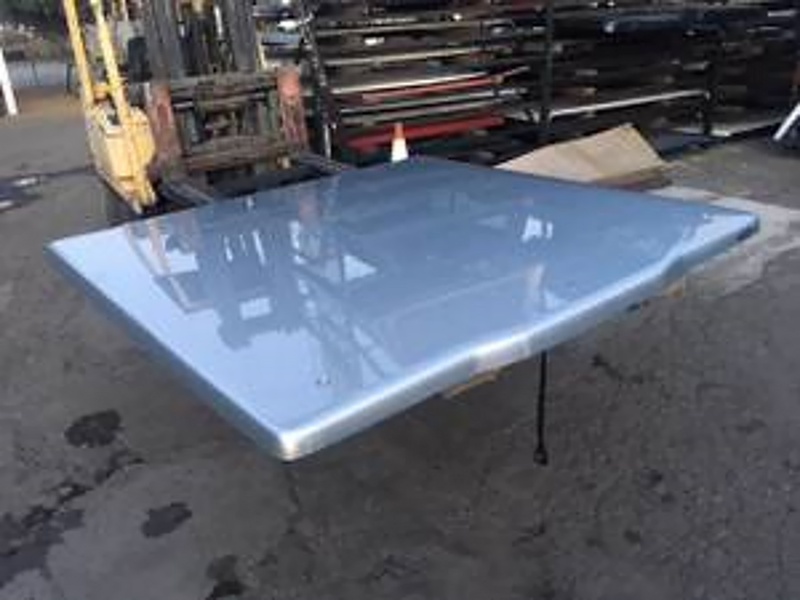 Emily:I am an office manager for a family owned business, Sounder Systems, Inc., that specializes in commercial and residential fire alarm systems, security systems, intercom/access control systems, and CCTV. I also work part time doing bookkeeping for my husband’s fishing tackle business, Elite Tackle Group. Claire:I work as an emergency preparedness coordinator for a large hospital system in Boston. My job includes a lot of training, such as evacuation, active shooter, infectious disease and HazMat, as well as disaster planning and response. I also work closely with other emergency disciplines in the city, including public health, police, fire, and fire special operations, who we work with for HazMat response. In my spare time I work for the American Red Cross teaching CPR, first aid, and waterfront lifeguarding. Emily:One of my other hobbies is video editing. I started editing videos for fun when I was about 13, which led to creating advertising videos for various jewelry companies and trade shows years later. When I met my husband, I learned he too loved editing videos – fishing videos – and I soon caught that bug as well! I also love to travel! 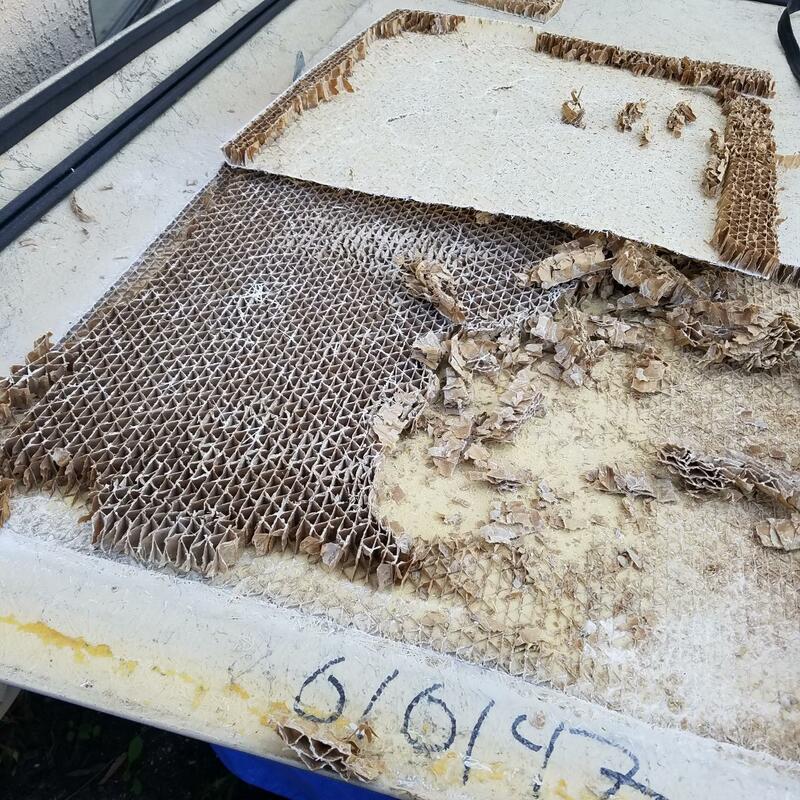 However, I wouldn’t consider that an “other hobby” seeing as our family tends to travel to places that have great fishing – and hey, no complaints here! Claire:My other hobbies include skiing, traveling, spending time outside, reading, the Food Network, dance, photography, baking, field hockey and volunteer work. Bryan is the master chef of our household, so I have taken over all aspects of desserts, which has been especially fun for our family and friends, who often receive baked goods as gifts. I also really enjoy interior decorating and home improvement projects (contrary to popular belief). 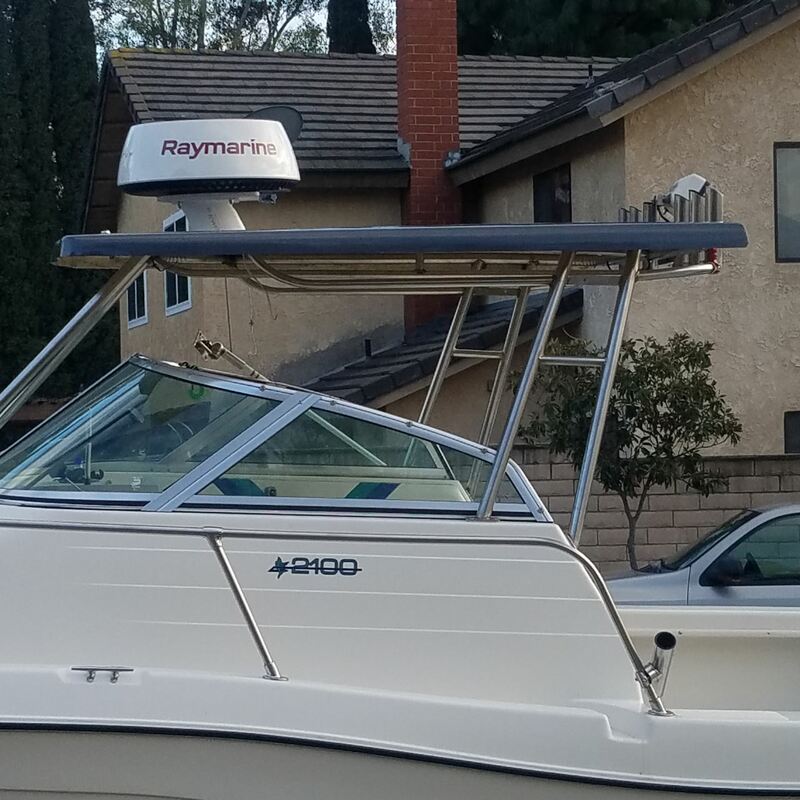 Emily:My husband, Taylor, got me into fishing. When we met, he asked if I liked fishing. I told him I had never been, but that my father was an avid fly fisherman so I knew a few things about it. 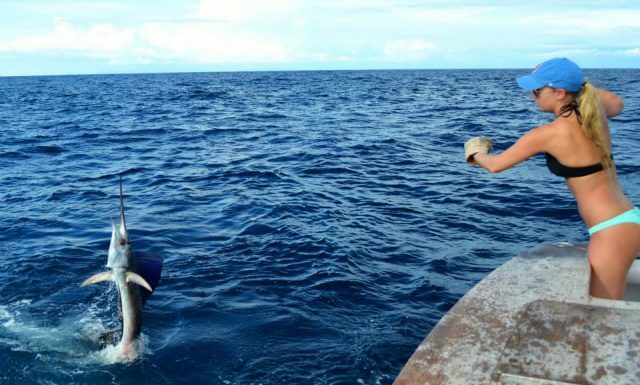 Little did I know that I would be introduced to a whole new world of fishing: deep sea fishing. 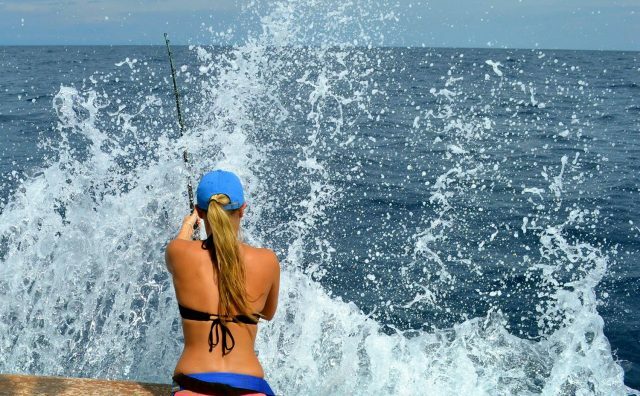 I soon fell in love with the water and with fishing and have been obsessed ever since. 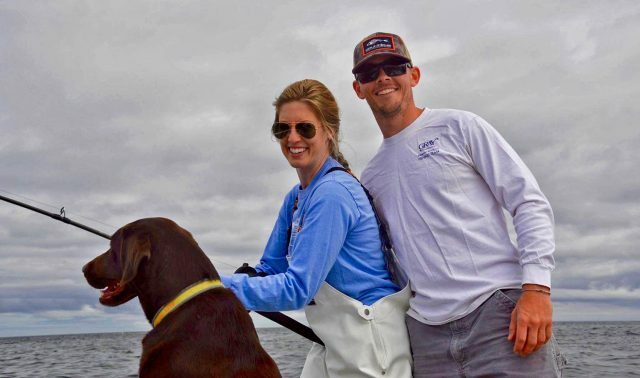 Claire:My husband Bryan really got me to where I am today in regards to my love of the water and fishing, as we live in a great area for both of these things. However, my mother grew up as the child of an avid outdoorsman, so I have been a camper, canoer (is that a word? ), and all-around outdoorsy person since a very young age, attending sleep away camp in Maine for seven weeks each summer. Fishing has become an incredibly fun thing to share with my family. 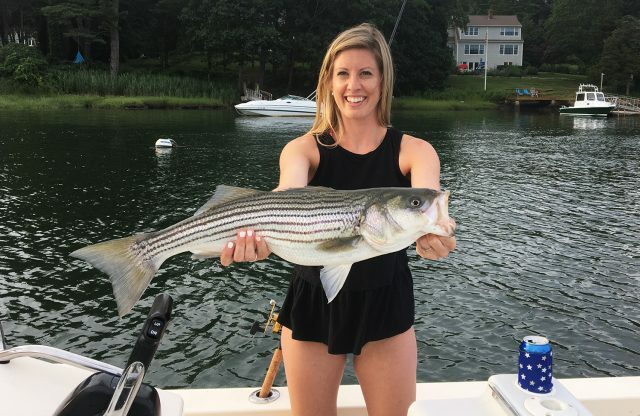 Emily:I have only been fishing for 7 years, but I’ve been to so many great places and caught so many great fish that I can’t wait for the years to come! 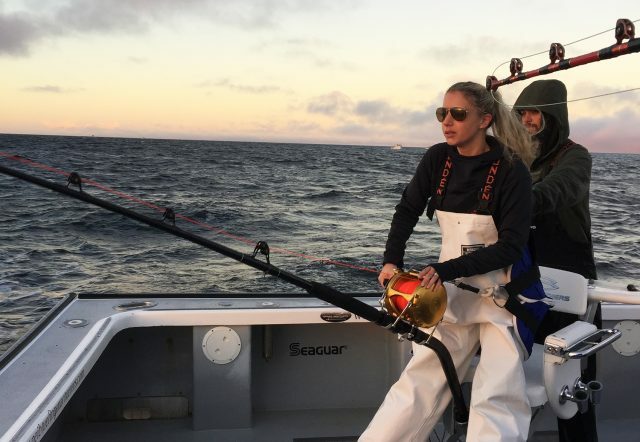 Claire:I have been fishing for three years, if you’re getting technical with the amount of time and effort put into targeting species and taking trips for the sole purpose of fishing. I did catch an eel once when I was four, but I really am a recent addition to the fishing community at large. Again, the credit goes to my husband for starting me on this fishing journey. 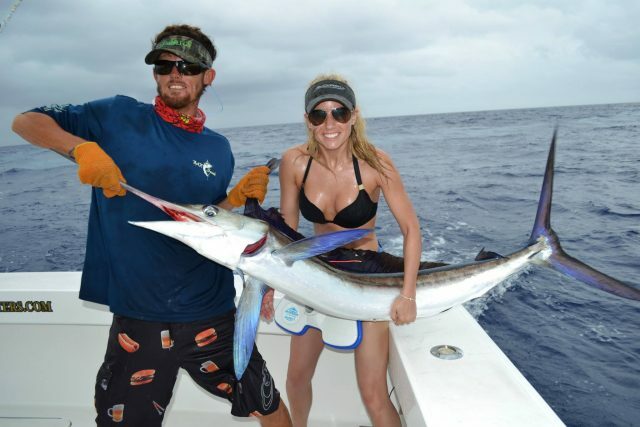 Emily:I’ve fished for striped marlin in Cabo San Lucas, Mexico, Atlantic sailfish and white marlin in Playa Del Carmen, Mexico, and Punta Cana/Cap Cana, Dominican Republic, Pacific sailfish and mahi-mahi in Los Sueños, Costa Rica, and giant bluefin tuna in Prince Edward Island, Canada. 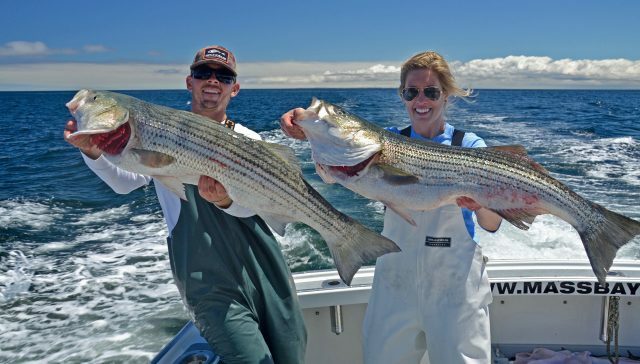 When my I’m not traveling, I fish Stellwagen Bank out of Scituate, MA for ground fish like cod, pollock, and haddock, sharks, striped bass, bluefish, and bluefin tuna. Claire:Primarily I have fished in the waters of New England, both inshore and offshore, catching everything from striped bass to sharks to sculpin – which was introduced to me as a “mother-in-law fish” while fishing with my soon to be mother in law the day after getting engaged…Additionally, I have been lucky enough to fish in destination spots for species like giant bluefin tuna in Prince Edward Island, Canada, and billfish in Cap Cana, Dominican Republic. 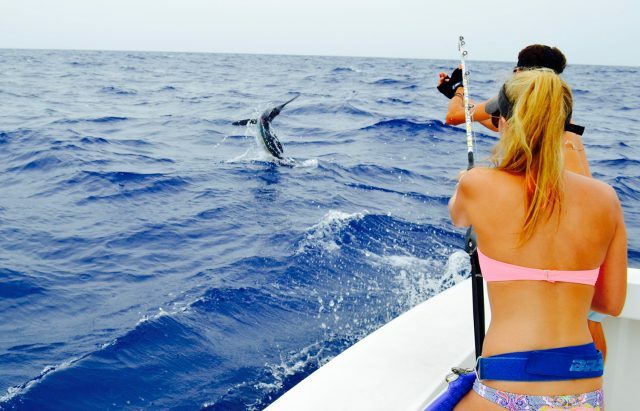 Emily:My favorite kind of fishing so far is fishing for billfish. The fight is the perfect combination of challenging, fun, and action-packed. 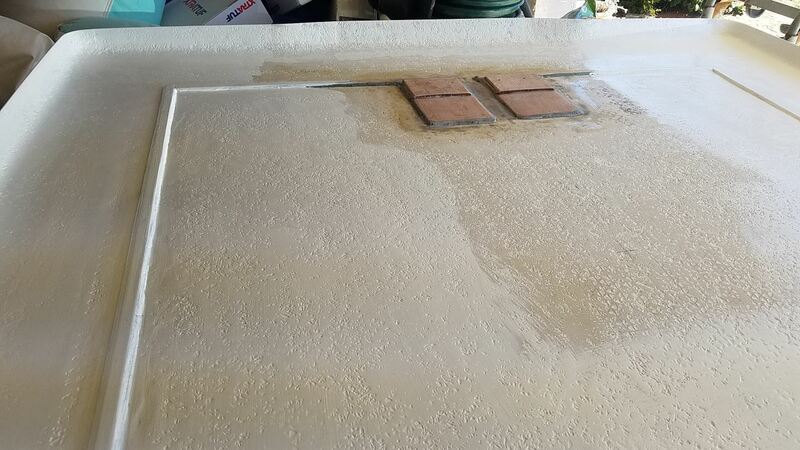 Watching them jump is exhilarating, and they are so beautiful when they’re all lit up next to the boat. Not to mention the weather is usually gorgeous! 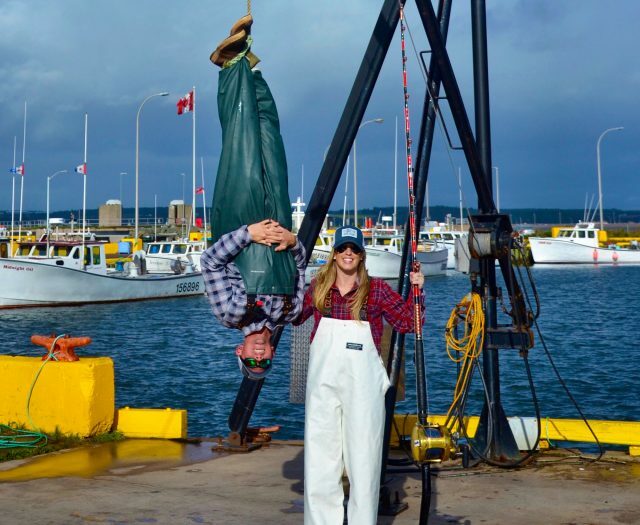 Claire: My favorite type of fishing, thus far, is without a doubt tuna fishing in the Canadian Maritimes. 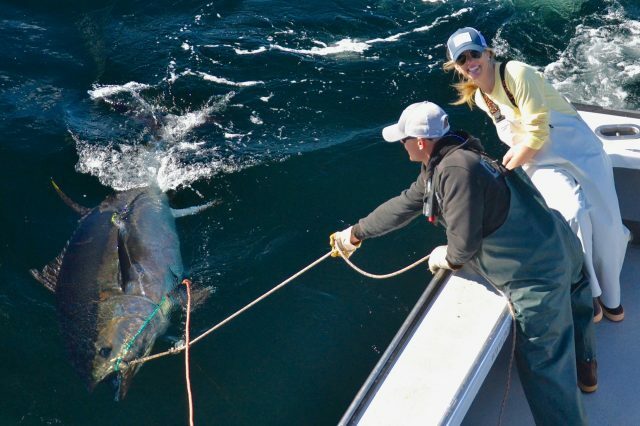 It may have something to do with the fact that my first fish ever caught with my husband was a 550-pound bluefin, followed closely by an 850, on a crisp fall day off the coast of Souris, Prince Edward Island. 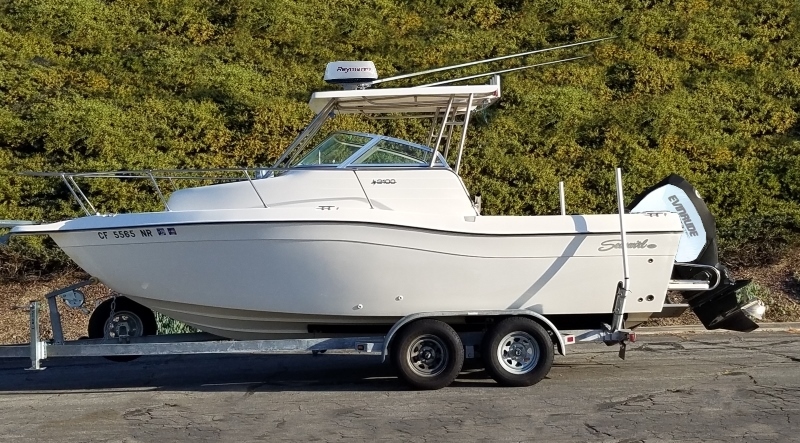 It also is a result of the environment that I was in a 45’ Downeast boat with an amazing captain and crew, close friends and family providing tips and tricks and the ever-needed assistance. The stunning surroundings that we were in and the fact that we had PEI oysters on the trip out to the fishing grounds didn’t hurt either! Also, I was able to prep for this type of fishing while tuna fishing at home, so it was incredibly fun to translate those skills to another location with larger fish. Emily:My future goals for fishing are to continue to add different species to my list. 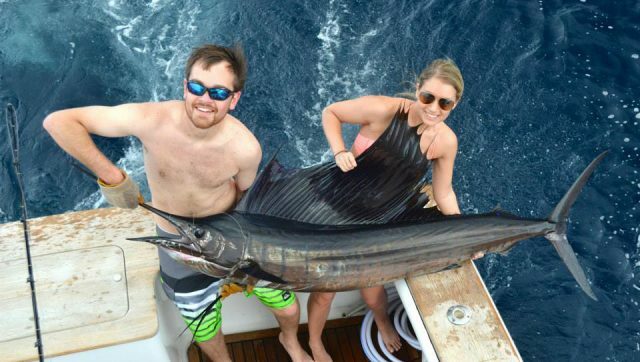 We recently went fishing in Cap Cana, Dominican Republic, in hopes to hook some marlin and sailfish (shout out to my sister-in-law Claire who caught her first sailfish! ), and I unexpectedly caught my first kingfish! You never know what each trip will bring, but it’s always exciting to catch new things! 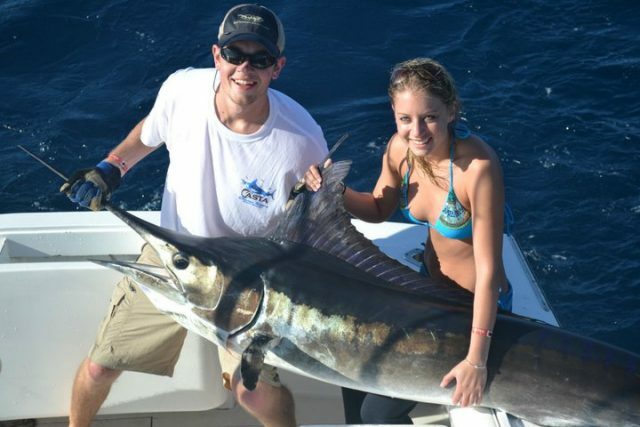 Claire:My future goals pertaining to fishing focus primarily on adding species to my “caught list.” As a fairly recent addition to the sport fishing community, I find myself playing catch up to family and friends who have traveled and fished across the world. As an incredibly competitive person, I hope to continue expanding my fishing experience and checking species off that list. 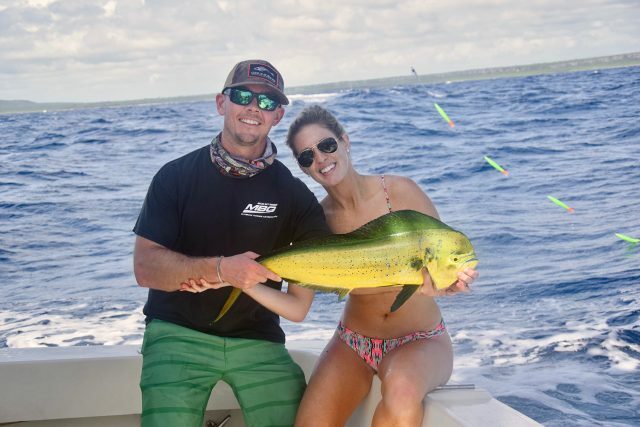 Emily:As much as I love being out on the water and seeing all the life around us, my favorite part of fishing is sharing this passion with my husband and our families. From spending hours waiting for a fish to bite only to go home empty handed, to catching 62 Sailfish in 3.5 days, to watching my mom hook and catch her own striper… who we get to share these moments with are truly what make it fun. 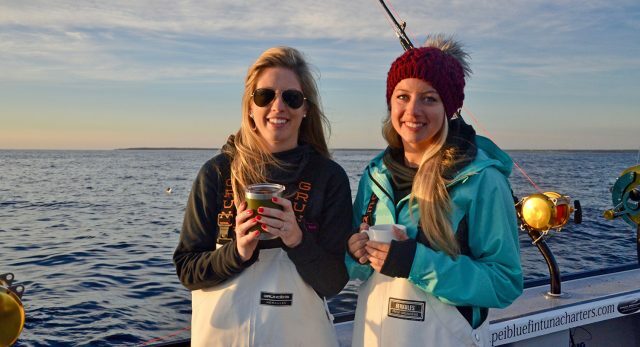 Claire:Without a doubt, the best part of fishing is being out on the water with people you love. That being said, I truly enjoy the preparation aspect of fishing, coupled with the reward of landing a beautiful fish. My husband is incredibly methodical in his setup for fishing, everything from the bait and tackle to the location and weather. As someone who majored in a research-science based field, I love the analytics that go into a fishing trip, regardless of its location. Catching a fish seven times your weight is a very close second, though! BD:Tell us some of your proudest moments in fishing? 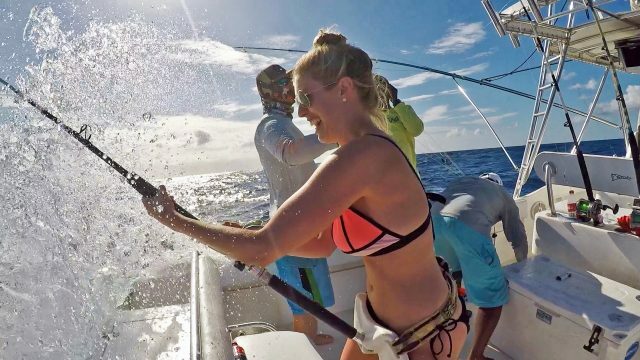 Emily:Some of my proudest moments include catching my first billfish, a striped marlin, after just having learned how to fish a few months prior, my first time fighting a giant bluefin tuna in the chair, and wiring a sailfish (or any fish for that matter) for the first time. 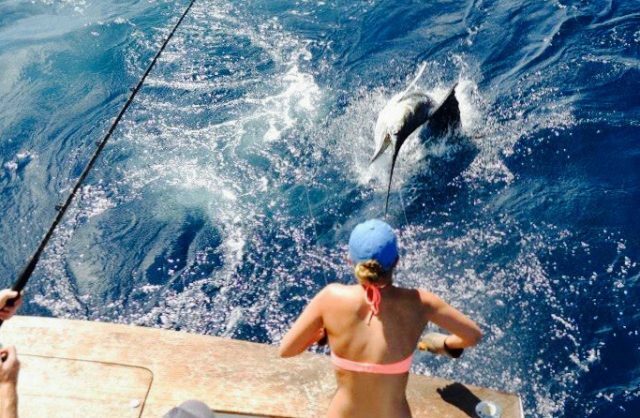 Claire:My proudest moment fishing occurred on Memorial Day 2016. It actually had nothing to do with me, but my mom, brother and sister were able to come out on my father-in-law’s boat, based in Scituate, MA. 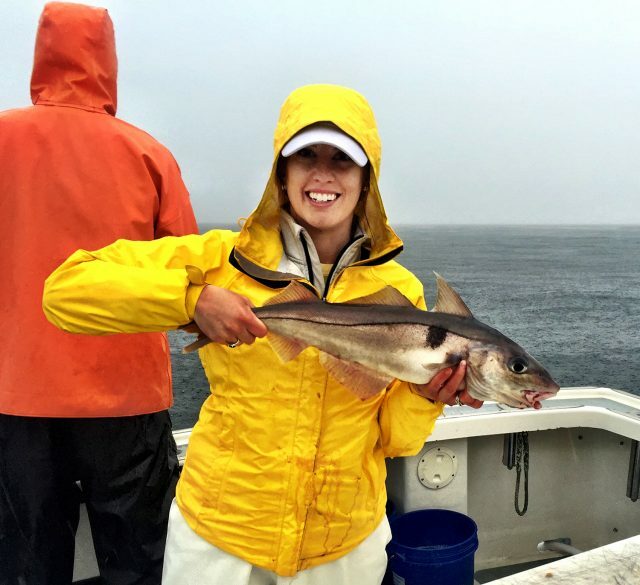 It was a miserable day for a holiday weekend, but we put on an absolute clinic for the haddock, cod, and pollock in the Cape Cod Bay. My mother has never smiled more than that trip, and for me to be able to bring her to that place and share those memories is incredibly rewarding. In the future, I hope to turn more to the competitive, tournament-based aspect of fishing. 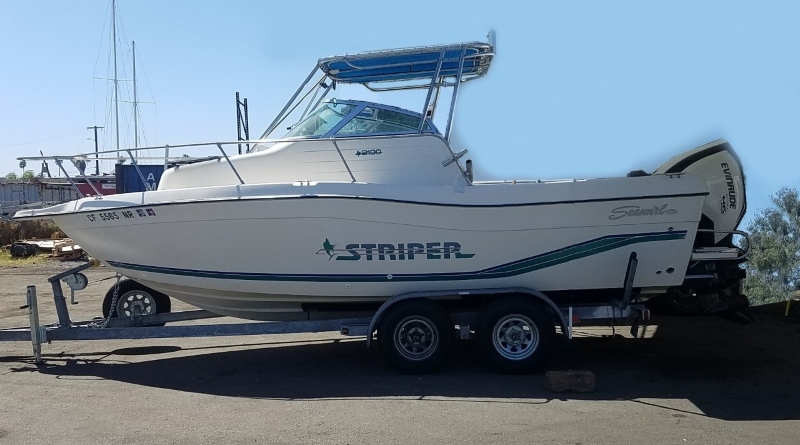 My husband has been a part of several charity tournaments over the past few years, and I would love to join the crew of one of the boats as a productive member. It has also been mentioned to me that there are a few vacant records I may be able to attempt, so we’ll see where that takes me! BD:What other “aspects of you” would you like to portray if any? 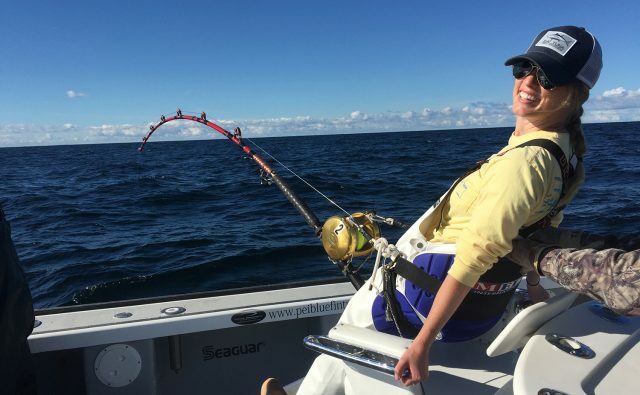 Emily:With the tackle shop, the fishing charters, and the seminars, fishing is not only a career for our family, but a lifestyle, and I wouldn’t have it any other way. Claire:I’m not sure that there are many other “aspects of me” that don’t involve my family, friends, fishing, or my job and hobbies. I truly feel that I live by the mantra work hard play hard, and believe that life is what you make of it. I’m incredibly lucky to have found myself as part of such a fishy family, and I wouldn’t trade it for the world. 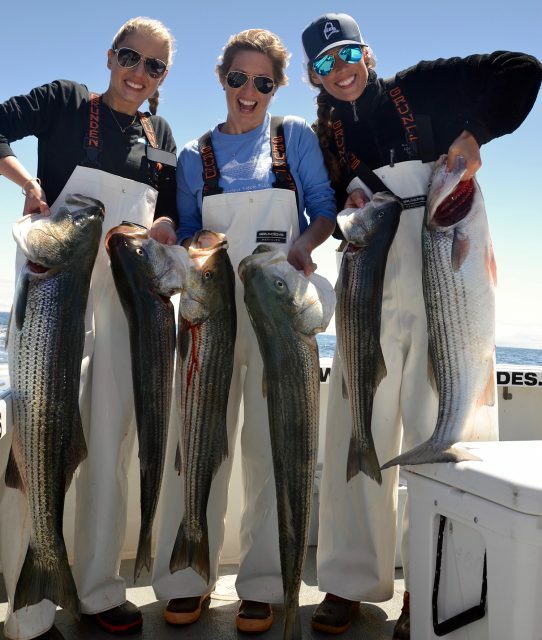 Our thanks to these awesome ladies for teaming up and giving us a peak into their lives and love of fishing! We are excited to kick off the New Year by introducing Lauren Cheshier, our first Fishing Chick of 2018.